In my final year of studies at University and major in Journalism and History. We recently decided to go to the Yatala Twin Drive-In Theatre and we thoroughly enjoyed ourselves. There were no strangers sitting right beside you, sharing your elbow space, you can't hear others eating their popcorn or opening packets of chips, you can't hear kids and the teenagers making out in the back are nowhere in sight. My partner and I got the idea because we found out that we could take our dog (as long as it was on a lead and with you at all times). 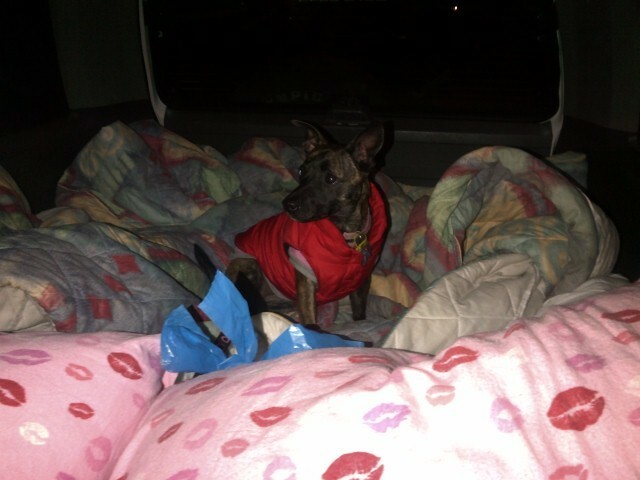 We took lots of blankets to keep warm in the back of the car and we were very snug and comfy. It was great to be able to lie down and snuggle during the whole movie. We took an Esky full off goodies which is defiantly an advantage if you want to save money. However if you want to splurge, there is a 70's styled café in between the two screens and it is reasonably priced with lots to choose from, including popcorn, drinks and snacks. People were set up out the front of their cars on deck chairs or snuggled in the back. The drive-in can also be very romantic, as well as a family friendly place to go on the weekend. They are open during the week as well with two movies on each of their two screens and on some of the weekends, they put an extra movie on each screen. It is also definitely value for money. An adult ticket for one movie is $13 and for two movies, it is $16. You can't beat that! Especially because cinema tickets are becoming so expensive these days. Our little dog was very well behaved but because we weren't sure, we parked right up the back in a corner and it was probably the best spot. We had a great view from where we were and no one to disturb us. The first movie was quite full but it did thin out for the next two movies. Our dog was very very well behaved and we were so glad that we are going to go back every time there is a movie we want to see.